Live donor kidney transplants comparatively declined among African and Hispanic Americans from 1995-2014 and provide new evidence of health disparities in the United States, finds a national study (and an accompanying editorial) recently published in Journal of the American Medical Association. Specifically, a comprehensive assessment of more than 453,000 first time, live donor kidney transplant patients, who were on a waiting list from 1995-2014, found transplants declined from 3.4 to 2.9 percent among African Americans and fell from 6.8 to 5.9 percent among Hispanic Americans. During the same period, first time, live donor kidney transplant patients from a waiting list increased 7 to 11.4 percent among Caucasians and rose from 5.1 to 5.6 percent among Asian Americans. The editorial's authors note these overall findings suggest a pattern of comparative health disparities for black and Hispanic kidney patients who seek a transplant. The editorial's authors explain the study does no assess if the declines in kidney transplants among blacks and Hispanics are linked to race, poverty, or ethnicity. The editorial's authors suggest more information to illuminate these differences provides an important focus for future research. The editorial's authors also explain the current findings need to be contextualized by noting that in previous research, the greatest need for increased kidney transplants among U.S. populations was identified as Americans with lower socioeconomic status. In past studies, the editorial's authors write (and we quote): 'lower socioeconomic status has been associated with increased incidence of chronic kidney disease, increased progression to end-stage kidney disease, inadequate dialysis treatment, decreased access to transplantation, and worse survival through its effects on dietary factors, access to care, education, health literacy, and rates of obesity' (end of quote). The authors add prior research suggests lower socioeconomic status is more prevalent among blacks and Hispanics than other U.S. populations. More positively, the editorial's authors explain the study finds an increase in the number of minority (as well as other) patients on waiting lists for a new kidney from 1995-2014, which suggests some efforts to encourage African and Hispanic Americans were partially successful. The editorial's authors write (and we quote): 'This could be taken as some measure of success, suggesting that more black and Hispanic patients have achieved access to transplantation centers and the transplantation waiting list' (end of quote). In addition, the editorial's authors note the number of African and Hispanic Americans who received live donor kidney transplants increased from 2005-2009 compared to 1995-1999. Still, the editorial's authors note the study's findings add to the body of research that suggests (and we quote) 'that differences in socioeconomic factors remain pervasive for many black and Hispanic patients in the United States' (end of quote). The editorial's authors also suggest (and we quote): 'Despite improvements in the number of patients on the waiting list, inequalities remain with delays in referral and access' (end of quote). Meanwhile, updated information about kidney transplants in the U.S. (from the Scientific Registry of Transplant Recipients) is available in the 'statistics and research' section of MedlinePlus.gov's kidney transplantation health topic page. 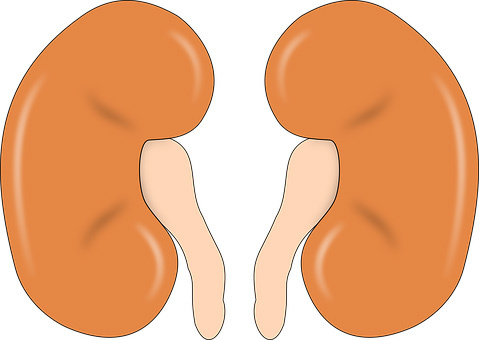 An explanation of the kidney transplantation process (from the National Kidney Foundation) is available in the 'start here' section of MedlinePlus.gov's kidney transplantation health topic page. MedlinePlus.gov's kidney transplantation health topic page additionally provides links to the latest pertinent journal research articles, which are available in the 'journal articles' section. Links to pertinent clinical trials that may be occuring in your area are available in the 'clinical trials' section. To find MedlinePlus.gov's kidney transplantation health topic page, please type 'kidney transplant' in the search box on MedlinePlus.gov's home page, then, click on 'kidney transplantation (National Library of Medicine).' MedlinePlus.gov also contains a helpful health topic page on health disparities.